Did you know the hours between 10pm and 12am are the best time to repair skin? Put fine lines to bed with a powerful nightly dose of anti-aging Retinol and Peptides. Cedrus atlantica Bark brightens and reduces dark circles. Arnica extract soothes tired eyes to sleep. These hydrogels work in just 5 minutes to restore a brighter, youthful appearance to overworked, under-rested eyes. Place 1 pair of gels onto clean, dry under-eye area for 5 minutes (or longer if desired). Discard after use and massage remaining serum into skin. 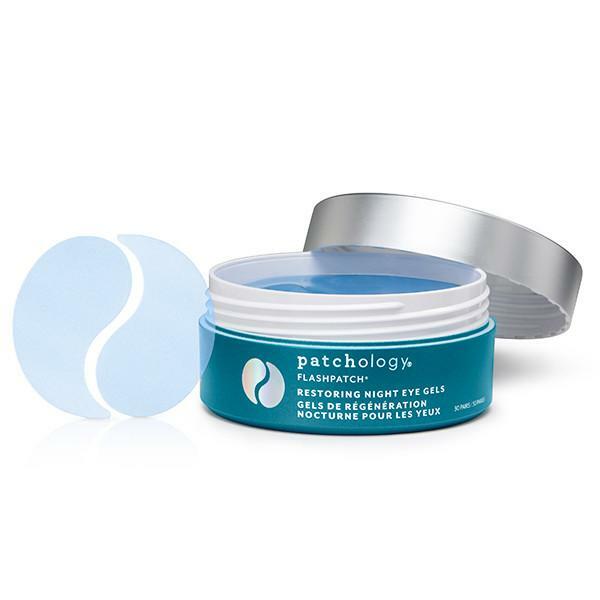 FlashPatch® Restoring Night Eye Gels feature our highly advanced HydraSurge5™ Moisture System. Patch technology accelerates the delivery of essential ingredients like peptides, retinol, and arnica extract to your skin. And the Hydrogels stay put—so you get these ingredients where you need them most. Put your fine lines and wrinkles to bed.